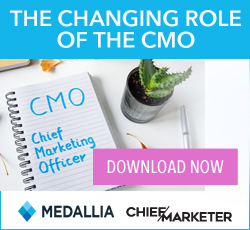 Marketers often take advantage of the fact that consumers aren’t necessarily logical when making buying decisions. To increase sales of its flushable moist wipes and dry toilet tissue, however, Cottonelle opted to point out the logic of using both products for optimal hygiene. 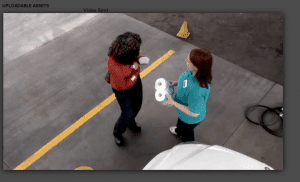 With agency TRIS3CT, Cottonelle staged unscripted hidden-camera stunts to demonstrate instances where cleaning without moisture wasn’t effective. For instance, at a salon it shampooed unsuspecting customers without water; at a restaurant, it tried to clean sticky tables with only a dry towel. When the consumers questioned the logic, the Cottonelle representative replied, “If it’s not good enough here, why is it good enough in the bathroom?” as the camera recorded the consumers’ often-entertaining “aha” reactions. The recordings were edited to create 15- and 30-second spots for TV, and three-minute videos were distributed on contextually relevant websites and social media platforms such as BuzzFeed. The videos drove viewers to the Cottonelle website to “test your cleaning logic” and view more amusing video footage. Five bloggers popular with the target audience of women ages 35–54 were given behind-the-scenes access to the shoots so that they could share details at length. Print ads reinforced the theme with a fun multiple-choice “test” that confirmed using Cottonelle’s moist wipes and dry tissue together was the most hygienic choice. The campaign also included direct mail samples of 10–33 wipes—the amount required to help form a habit. Earned media impressions ultimately exceeded goal by 40%, reaching nearly 35 million. Cottonelle’s total dollar volume during the five months of the campaign increased 5.95% from the same period of the previous year, and “purchase intent” for Cottonelle exceeded the average by 9%. Given the success of the campaign, it was only logical that sister brands in Europe, Southeast Asia, and Australia subsequently developed their own “Test Your Cleaning Logic” programs. HelloWorld, Inc. HANGAR12 The Integer Group Launchfire TLC Marketing Concept One Communications RedPeg Marketing FAME Epsilon Infinity Marketing Team, Inc.